This is a website we have created with information on all manner of antiques from the Railroads of the United States of America. These great companies helped build the US as the industrial power it became in the 1800s and 1900s. Over the years there were thousands of railroads and railway lines from large Class I operations with famous passenger and freight routes all the way to smaller interurbans or trolley lines. The sense of exploration, adventure, and nostalgia we get when we think of the railroads joining the east and west of the country into one, of travel as a luxury, of new places and new experiences all these things lead people to collect and enjoy the antiques and artifacts from the railroads. We will offer to buy single items or entire railroadiana collections depending on your desires. If your item dates to before 1920 and it’s in fair to good condition, then there’s a good chance that it’s valuable and we will probably make you an offer for it. 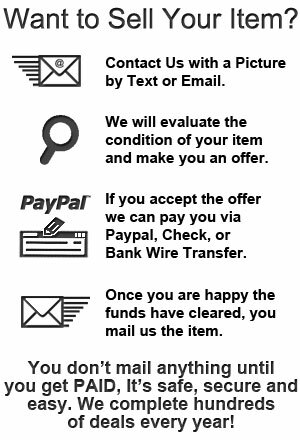 We make aggressive offers for rare or high-grade items and we do hundreds of deals every year, usually beating out offers from other dealers and collectors. Browse our value guides for items like Passes, Plates, Silver, Signs & Posters, and China. If your item dates to after 1950 there’s not much chance that it will be very valuable unless it’s a really rare item.For the fastest help you can send an email to Dale@RailroadCollectibles.com, once we’ve gotten some pictures we will respond and help however we can. Do you have an item with a bunch of railroad initials or something that you don’t even know what it is and think it might be a railroad item? Contact Us for help, we can help you figure out what railroad an item came from and provide a range of date for how old it is. Just knowing a couple of small facts like that can make a huge difference if you decide to sell it later. Which would you rather buy? “B&MRR Railroad Lock” or “Cast Brass Heart Shaped Lock from the Boston & Maine Railroad”. Knowing even a little bit about your items can increase your enjoyment and increase their value. We offer appraisals as a complimentary service to anyone who needs help determining the value of a single item or collection. Whether you’ve just inherited something and need to know what it’s worth, you found something you’re interested in and don’t know what to pay, or you are just curious for information about your item, feel free to contact us with pictures and we can help you by providing an estimated value based on rarity, condition, and current market trends.In order for us to provide any kind of accurate appraisal, we need you to send us pictures of your item. Telling us that it’s just like the one pictured on the site or in mint condition isn’t good enough and just causes confusion on both sides. For this reason we can’t provide any pricing information until you can provide us with a picture of the actual item you have.